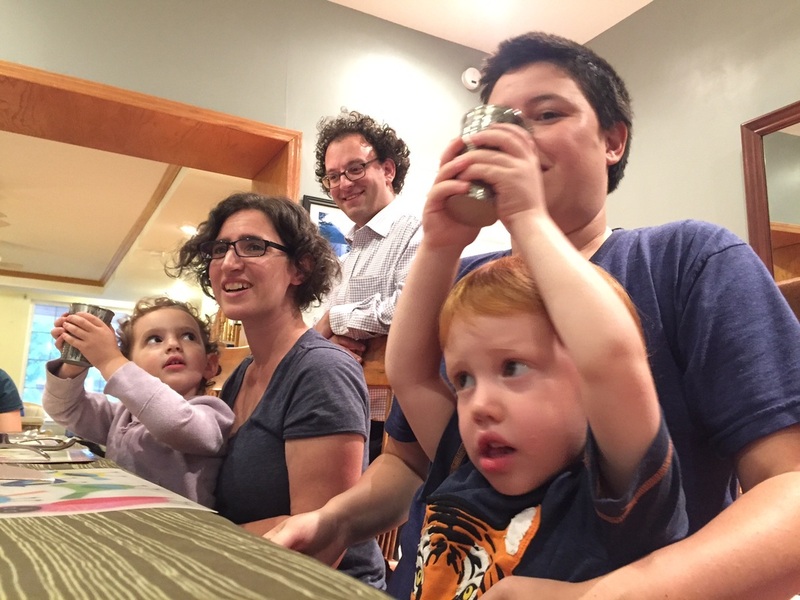 Shabbatluck (Shabbat + potluck) weekends honor Kol Tzedek’s values of kehillah (community) and hachnasat orchim (welcoming guests). When we open up our homes (and apartments and picnic blankets and restaurant tables) to one another, we build relationships in a unique and meaningful way. Whether you have been celebrating Shabbat at home since your earliest memories or are trying it for the first time, anyone can host or attend an open potluck Shabbat dinner, Shabbat brunch, or meal to mark Havdallah, the beautiful short service that ends Shabbat. To continue the Shabbat spirit and accommodate more schedules, we also encourage Sunday brunches and dinners. How do Shabbatlucks work? How do I host? What should I bring? Read the FAQ! Hosting is a joyous contribution to our community and easier than you might think. We recommend that you read our FAQ, and then click the button below to sign up. Questions? Email shabbatlucks@kol-tzedek.org.